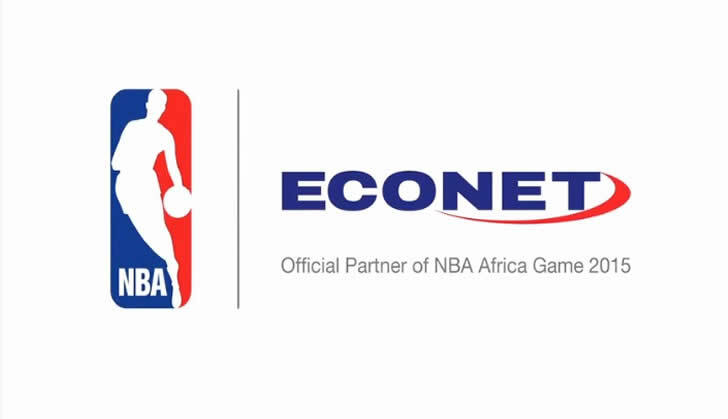 Econet Wireless founder Mr Strive Masiyiwa has said on Facebook that the wireless company is sponsoring "the first ever NBA Basketball game on African soil." The event will be held in Johannesburg South Africa. Masiyiwa shared the good news with his followers on Facebook in his post titled "Your Company, and it's Brand." Your Company, and it's Brand. # Have the ambition to make it global... Think ahead to when the company is no longer just in your country but has gone to other countries__ will this name you have chosen still be good? # Keep it simple, clean and effective. Econet Wireless was originally called "Enhanced Communications Network", a banker friend changed it to ECONET. I later added Econet Wireless. After many years I went back to ECONET because we have other businesses in the group, which are not wireless communications. Initially I worked with a friend who was an advertising expert, and he taught me amazing things about names, and colours, and brands. He later set up his own advertising agency, and later moved to work in America. He is highly gifted man. I always, always paid him for the work he did for me. This too is an important principle: if it's valuable you MUST be willing to pay for it! Having a good name for your company is not what gives you a "brand". This is a highly complex subject. For a start just remember that when you register a company, it becomes a "legal person", which acquires a unique personality and characteristic just like a real person. It's amazing how first that personality mirrors the founder, and in time also its workers. ___At Econet we say we are "Inspired to change your world".... It has been more than 20 years since we adopted that. Advertising and sponsorship of events like this NBA game is one of the ways we try to promote and give visibility of our brands. Big companies spend billions of dollars. You don't have to be a billion dollar company before you invest in the visibility of your brand. When I started out I always looked for the most innovative, and cost effective ways to market our brand. I sponsored school sports grounds, bus shelters, street signs. A good entrepreneur must understand marketing of not just products, but also the values of the brand. # If you are serious about building a business,then you must have budget for advertising and promoting your brand and it's values. This is not just about advertising to sell a product. You must be careful what you associate your brand with. Before we agree to sponsor anything for instance, we sit down and enter into written agreements which cover the expectations of either party, as well as expected conduct. For instance I once authorised sponsorship of a certain sport organisation in one of our markets. The complete disregard of the agreement by the sport's governing body was quite astounding. For me if someone does not respect an agreement or undertaking I will never do business with them again. We decided to stay away from that sport, and it's governing bodies. I hope that one day we will have an opportunity to have a more I depth discussion on marketing, and advertising of your business. And if you are a basketball fan, enjoy the game!